When Sgt. 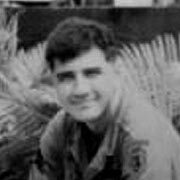 Thomas R. Marshall of Sandy Lake, PA, wrote home from Vietnam, he didn’t write about the horrors of war. He wrote about how beautiful the country and the people were. That’s not surprising, because he was an artist at heart. It takes an artist to focus on the beauty that can often be found in the midst of ugliness. He enlisted in the army while he was a student at the Shenango Campus of Penn State University. According to his brother, Malcolm, he had received several draft notices and just got tired of being harassed. That was in June, 1968, two years after he had graduated from Lakeview High School in Sandy Lake. Tom took Basic Training at Fort Jackson, South Carolina, and Advanced Individual Training at Fort Dix, New Jersey. He went on to graduate from Non-Commissioned Officer School at Fort Benning, Georgia. Withdrawal of American forces, including the 25th Infantry Division, did proceed. So did the intense combat, and the continuing deaths of American soldiers – including Sgt. 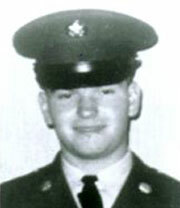 Marshall, who was killed by small arms fire on December 11, 1969. He was survived by his parents, Mr. and Mrs. Malcolm D. Marshall of Sandy Lake; his wife, Tracy; three sisters and a brother.